SKOPJE, Macedonia (AP) — Defense Secretary Jim Mattis on Monday condemned Russia’s efforts to use its money and influence to build opposition to an upcoming vote that could pave the way for Macedonia to join NATO, a move Moscow opposes. Mattis told reporters traveling with him to Skopje that there is “no doubt” that Moscow has been funding pro-Russian groups to defeat the referendum on a name change later this month. Macedonians will vote Sept. 30 on whether to approve the name North Macedonia in an effort to placate Greece, which has for years blocked Macedonia’s path to NATO and the European Union. But any progress toward NATO membership by the Balkan nation is strongly opposed by Russia, which doesn’t want the alliance to expand to areas formerly under Moscow’s influence. Zaev predicted that Macedonians will vote in favor of the name change and thus the move into NATO. “There is no other alternative for the Republic of Macedonia than the integration into NATO and the EU,” he said. 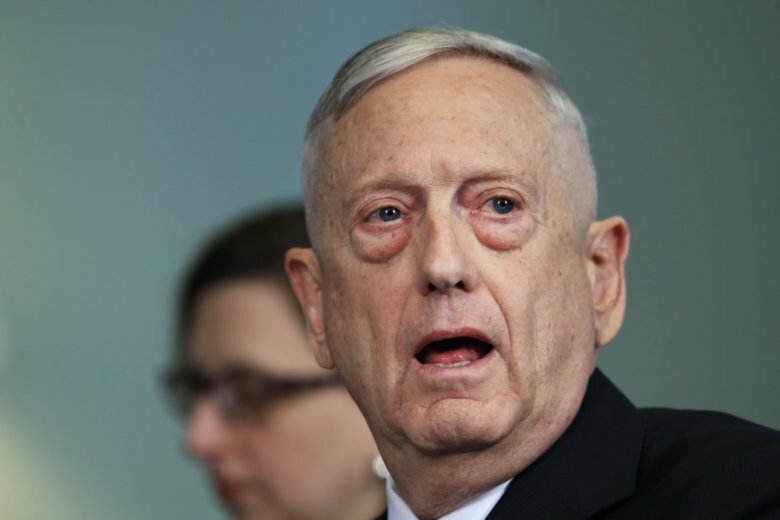 A pro-Russian small oppositional party, Unique Macedonia, strongly criticized Mattis’ remarks on Moscow’s efforts to use money to influence the opposition to defeat the referendum. Mattis is the latest in a string of international leaders visiting Macedonia to voice support for the referendum, and he’s the most senior U.S. official to visit. NATO Secretary-General Jens Stoltenberg, German chancellor Angela Merkel and Austrian chancellor Sebastian Kurz have visited and made public endorsements of the name change, saying it’s critical in order for the country to join NATO after years of waiting. Russia has already been called out for trying to influence the vote. In July, Greece expelled two Russian diplomats accused of supplying funds to protest groups opposing the name change deal. Russia denounced the expulsions as unjustified. Greece, a member of NATO, has for years vetoed attempts by Macedonia to join NATO, complaining about the country’s name since Yugoslavia broke up in the early 1990s. Greece argues the name implies a territorial claim against the northern Greek region of Macedonia and its ancient heritage. NATO leaders in July formally invited Macedonia to begin membership talks on the condition it wouldn’t become effective until the name change was implemented. But there’s widespread concern about Russian impact on the vote. “There is this influence campaign to try to buy off people and try to support pro-Russian organizations,” said Laura Cooper, the U.S. deputy assistant defense secretary for Russia and the region. She said she couldn’t give specifics about the payoffs but said the U.S. is aware of financial support Moscow has given to pro-Russian people and groups working to undermine the referendum. Evelyn Farkas, an expert on the region who is a fellow with the Atlantic Council and a former Defense Department adviser, said Mattis’ visit to the tiny nation could help sow support for the name change. According to Cooper, the U.S. has given Macedonia about $5 million in security assistance annually since 1991, and the total U.S. aid since then has been about $750 million. Mattis also met with Macedonia President Gjorge Ivanov and Defense Minister Radmila Sekerinska. Ivanov, in a statement, said Macedonia’s “strategic interest and the highest goal remains accession” to NATO and the European Union, which he said would contribute to prosperity for the region. The referendum vote is non-binding, and polls indicate Macedonians will likely back the deal. But even if the turnout is below the required 50 percent, if most of the people vote “yes” it will give parliament and the government a mandate to proceed. The agreement with Greece was signed in June and requires changes to the Macedonian Constitution. The final step for NATO admission is ratification by Greece’s parliament, which would vote only after Macedonia completes all necessary procedures. Associated Press writer Konstantin Testorides in Skopje contributed to this report.